Is it Time for Your Small Business to Delve into Smartwatch Marketing? - Mischa Communications, Inc. Mischa Communications, Inc. The jury still is out as to whether smartwatches have the sticking power of some of our more ubiquitous technology. But the fact remains that there are a lot of them out there. With Apple jumping into (and completely dominating) the game in mid-2015, experts forecast that 50 million smartwatches will be sold in 2016 alone. So why not use this growing market for marketing? As a small business, you need every customer touchpoint you can get, and 50 million extra touchpoints is nothing to scoff at. But looking at smartwatch marketing as a carbon copy of your existing mobile marketing is a recipe for disaster. This strategy is going to take its own level of finesse. Here’s why. Remember how difficult it was to switch from desktop to mobile? Well, here we go again. Your small business’ rich mobile content looks fantastic on a smartphone’s 5.5-inch screen, but it won’t translate nearly as well to a smartwatch’s 1.5-inch display. When you’re marketing via smartwatch, everything needs to be scaled down – both for size and for content. Don’t make your customers scroll 20 times; instead, deliver clear, concise information with a purpose. Mobile coupons, discounts and push notifications are a few things that translate well to a smartwatch’s size and features. A six-page e-missive telling your small business’ story from beginning to end … not so much. Most smartwatches are an extension of a user’s smartphone, so why would they want to get the same message on both devices at once? If you decide to implement smartwatch marketing, you have to make your message do something new and exciting. Some restaurants, Chipotle being chief among them, have developed apps that allow you to order your meal straight from your wrist. Other businesses are utilizing technology that allows you pair your watch with e-payment technology, never needing to fumble in your pocket or purse for your wallet (or even your smartphone) again. Give people a reason to use your small business’ smartwatch app or opt-in to your push notifications. Otherwise, you’re wasting time – theirs and yours. Smartwatch marketing is a whole new venture, for both marketers and customers, and only time will tell where it’ll take us. But when you get in on the ground floor, there’s nowhere to go but up! 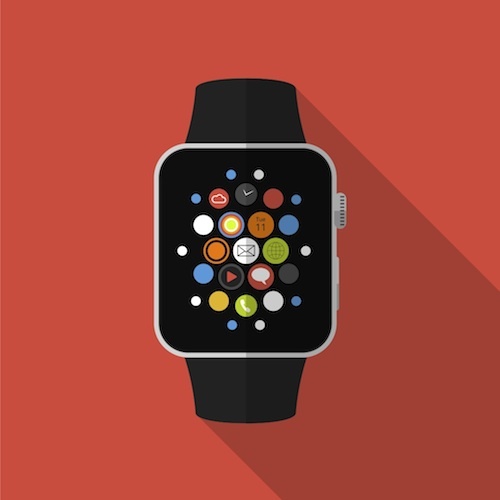 Do you need some smartwatch (or just smart marketing) strategies? Give Mischa Communications a shout. We’ll always make time for you!